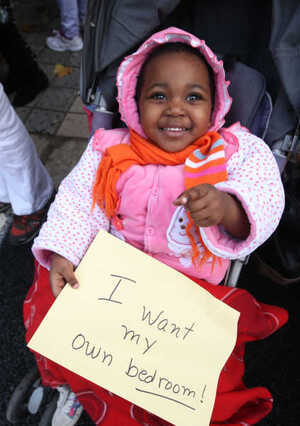 A radio documentary by Bairbre Flood looking at the lives of three women who have survived Direct Provision. For my latest documentary I talked to three women; Elsie Nwaora, Nomaxabiso Maye and Florence Eriamantoe who lived for years in Direct Provision. This was the system set up almost 20 years ago to provide accomodation and meals to asylum seekers while their claim is being processed. Intended to be a short-term solution, it seems to have created even more long-term problems. The lack of access to cooking facilities, the overcrowding (Florence lived in one room with her family for more than six years), the lack of privacy and the strain this puts on family dynamics are all obvious: but perhaps what’s less tangible is the subtle loss of dignity and self-direction that Direct Provision incurs. ‘You have no autonomy’ as Nomaxabiso puts it. Everything is done for you. Who wants to live like that? Most Direct Provision centres are situated in isolated areas, and Noma recalls how the place she was sent to, Drishane Castle, County Cork was ‘spooky’. They’d almost no contact with the locals there. ‘It was very rare you’d see people interacting with Drishane residents.’ Noma said. ‘You weren’t able to do anything’, Florence said. 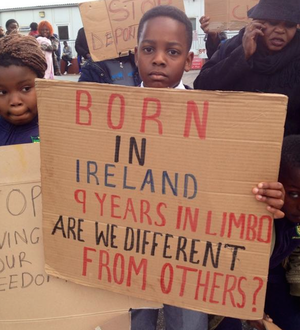 Boredom and anxiety wear away at the body and mind and the effect on the physical and mental health of people in Direct Provision can be devastating. Florence too is studying social work in UCC, and both women hope to bring their experiences to help families in the future. One of the most distressing parts of being an asylum seeker is the threat of deportation which hangs over you. All three women spoke about deportation being the worst aspect of their lives. Florence described how immigration officials would come in the middle of the night to take people away. Florence’s husband was deported, but she was allowed stay while her children’s case was being heard through the courts. All three women spent years trying to rebuild their lives after getting their papers and moving into the wider community. The sudden switch from years of institutional living isn’t easy. 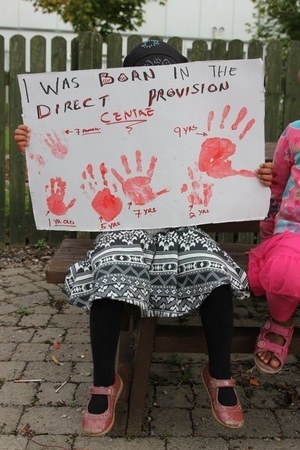 Largely hidden away from Irish society, people in Direct Provision rarely have their voices heard, and there’s much we can learn from these women’s experiences. Posted in Misc and tagged Bairbre Flood, Direct Provision at 1:40 pm on November 22, 2018 by Bodger. Claims should be processed in 3 months. Tell that to the African nations not providing the necessary documentation and information. I sure will tell them. expecting an e mail from Nigeria this afternoon with some good news regarding a certain 20 million payment I’m due. So, her husband’s claim for asylum was found to be baseless (I presume this would also apply to her claim, also). I feel very bad for the children that their parents’ actions have put them in what must be a very stressful situation. Portraying it as if it were a concentration camp. Ridiculous. 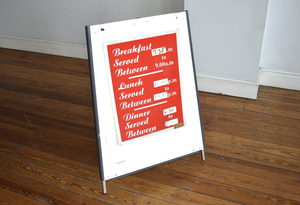 @ Dr_Chimp: In fairness, most of Cork is like Gitmo with lashings of Tanora and drisheen. Those hand prints are ENORMOUS. Wonderful use of the verb survived. Makes it sound like Buchenwald from the off. People spend years in this system because of the endless legal gravy train. Another farce at the expense of the taxpayer.